Meshed is my latest pattern. 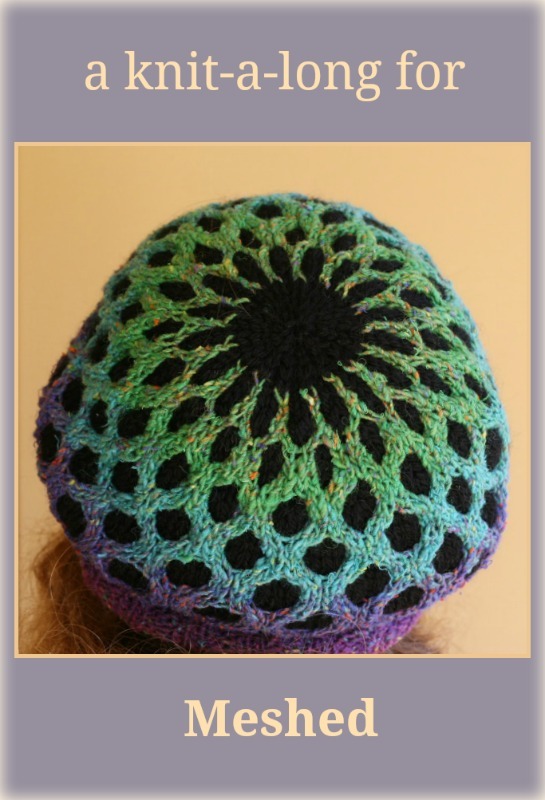 Its a color and cabled hat and it comes in two sizes. So of course I made two, one in each size. 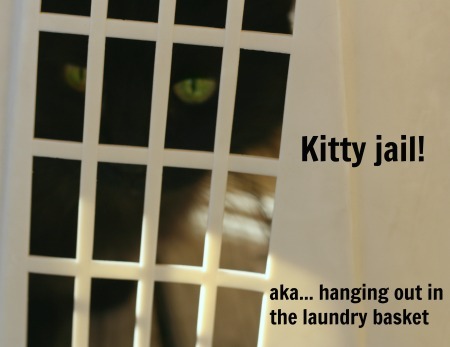 Now I need to make another and you know what that means…. that means we’re having a KAL! 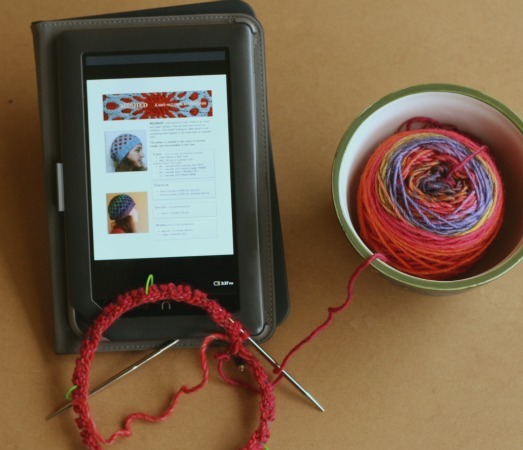 psst… a knit-a-long means I’m hoping you, some of you, will knit this hat with me. And tell me how its going in the comment section. And share pictures of your hat with us. Sharing pictures here is easy once you get the hang of it. Step 4) Paste the URL in the comment section and when you post, it will display the picture. 2. 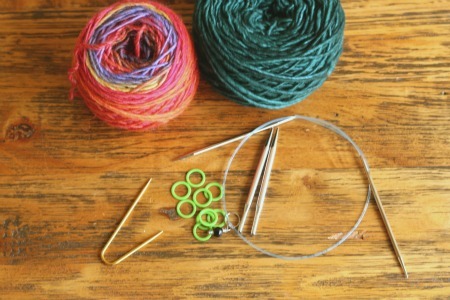 Get your needles, stitch markers, and a cable needle. I love this part too. I love buying, having, and using all the little notions and accessories that go with being a knitter. 3. Cast on! Now we love casting-on but… casting-on can be dicey. Right? Because we never learned how to count properly, right? Maybe its just me. Maybe I’m the only one who can count every stitch as I cast-on all the way to 80 and then recount to find that there are (inexplicably) 87 stitches on that needle. And I can do that even when no one talks to me in the middle of it and I don’t get up for more coffee and bad kitties don’t leap into my lap and demand more food. I can end up with 87 stitches all on my own thank-you very much. 4. Join to knit in the round and don’t do that with your tail. Which is good, sound advice and I tell myself that every stinking time but it has little effect. 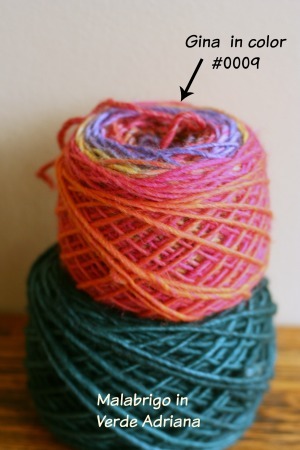 In any knitting after the cast on (long tail cast-on method that is) there are two dangling lengths of yarn. In theory I have a 50% chance of grabbing the right one. In reality I grab the wrong one every stinking time. 5. 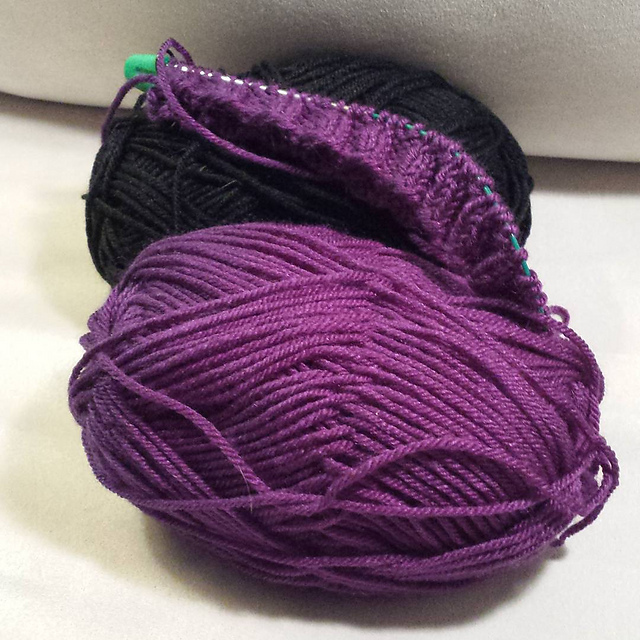 Now that you have cleared the pitfalls of counting and casting on, and knit up the first round, and didn’t find you had run out of yarn halfway through because you were using the stinking tail, its smooth sailing. Really that was the hardest part. psst… it is “we” right? Ya’ll are gonna make this hat with me right? I should probably mention that if you haven’t gotten a copy of this pattern yet, its on sale but only until midnight (central daylight time) tonight. All my patterns are on sale actually. That sale is over. But you can still get the pattern, of course, and I hope that you will. 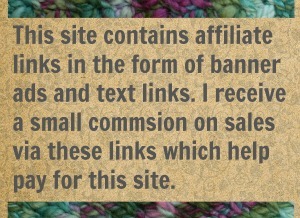 Its for sale here on ravelry. 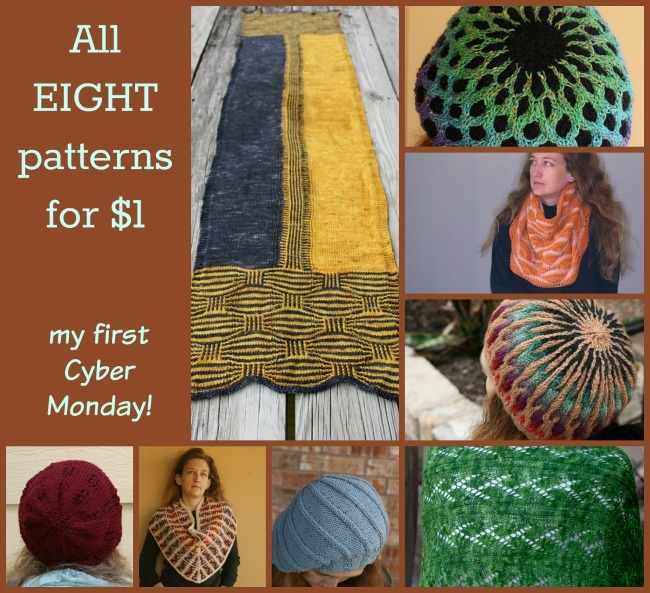 That should put all eight patterns in your basket… including Meshed! Then come right back here and join in on this knit-along. 18 Comments on "A Knit-A-Long For Meshed, my color and cable hat"
We are all too slow to get all the things we want to knit done. How is the Trickery coming along? HI so I am going to cast on right now. Black and purple are my colors. Having issues with posting to the blog. Now that’s truly serendipity cause I got the same colours. It will be interesting to see how they turn out. Yes, but for some reason I only do that trick when I’m casting on with two colors. I get excited at the beginning of a project and just want to be on with it already! How did you know purple was my favorite color??? It is, but don’t tell the other colors. I don’t like to hurt their feelings. You are so funny. I haven’t laughed this hard in a long time. Haha haha. I can’t wait to make this for my grandson Zac. 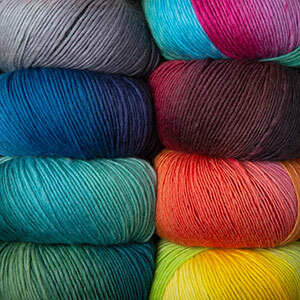 I have some beautiful silk yarns coming in. Enough for a black base and really vibrant colors for the mesh. I will upload a picture when it gets here. Yes sorry. That was a limited time promotion. It ran from Nov 30 to midnight Dec 1. It was my Cyber Monday Sale. Sorry you missed it! But the pattern is still available, of course. and I hope you’ll join in.